Sana is a 9year old who loves to go to school and learn. Her parents are eager to send her to school but have various constraints which does not give them that option. 1) Lack of knowledge on to go about it getting their children join schools. 2) Lack of Encouragement by some parents. 2) All these families struggle to make ends meet. So any small income these children can get through working on some days makes a huge difference to their livelihood and hence the children end up working at times. 3) Most of the slum occupants are people who have immigrated from other states and hence they no neither Kannada nor English. This makes it difficult to enroll the bigger children in government or private schools since they do not know the language. 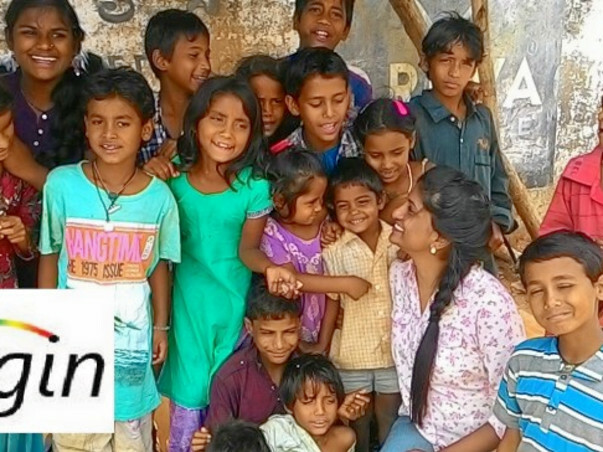 Bridgin is volunteer driven and works towards empowering youngsters and children to discover their potential for action and change, to make this world a better place for themselves and for everyone. What better way to empower children and youngsters other than providing them holistic education. This year through our 'I LOVE TO GO TO SCHOOL' program Bridgin aims to send a group of 30 slum children to school. These children are sons and daughters of immigrants who have moved to Bangalore from other states in search of jobs as contruction workers, maids, toys & ballon seller etc. These children have never attened schools. Though the children are every eager and dream to join schools none of them either know the Local Language or English. So before we put them in schools these children need to learn to identify, read and write alphabets, numbers and simple sentences, we need to instill sense of hygiene and discipline in them and mentor them so that chances of them dropping out from school once they join one is redcued. And who is going to provide coaching and mentoring to these children? It is our volunteers and other school going children. While youngsters are our country's present, children are the future. We utilise the potential and actions of youngsters who volunteer to mould the children who are our furture. Educated minds will make our country's future bright. 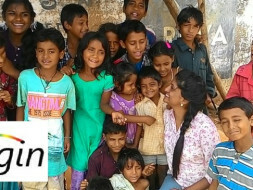 'I LOVE TO GO TO SCHOOL' will be run by Bridgin this year during which we aim to enroll 30 slum children in school. Cost estimated for 30 children is $1350. 2) Build a basic structure which will be children's classroom in the place they reside where they will learn their basics before they join school. 3) Provide them with basic scholarship so that the parents no more ask the children to go work.